FindItMore | A lot of you out there might be thinking about investing in life insurance for the first time. It means understanding the basics of life insurance policies and its working is all the more critical. One of the first things that come to mind while you are talking about life insurance is its basic terminologies. These abbreviations or phrases are used everywhere starting from the brochure, contract papers to purchased policy documents. To understand what exactly your life insurance covers, it is essential for you to learn the terminology. That is why, in this post, we are going to make you familiar with 12 such life insurance terms. The policyholder is an individual who purchases the life insurance and pays its premium. However, it is not vital that the policyholder is also the person to be insured. The person for whom the policy has been purchased is known as the life assured. Usually, in Indian families, the earning member is the one who is assured against uncertainty and untimely death. In every life insurance policy, you will need to register a nominee. A nominee is the individual or group of individuals, who will receive the sum assured after your demise. 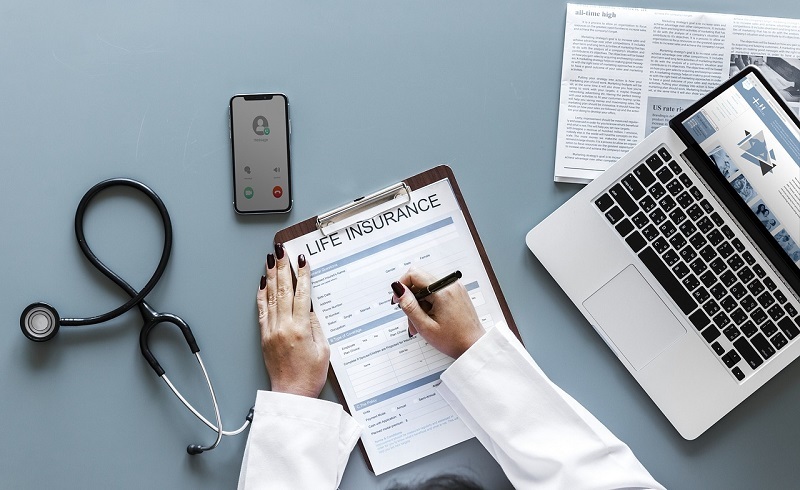 The number of years for which the life insurance company will cover the risk of untimely death is known as policy tenure. For instance, imagine you buy a Bajaj Life Insurance that covers your untimely death till the age of 75 years. It means if you die before the age of 75, only then will your family be able to make claims. The life insurance price that you pay every month for keeping the plan active is known as a premium. Premium payment terms are usually divided into three categories which are Regular, Limited, and Single. Another term commonly used in life insurance policies is riders. It is referred to the additional features that you can add while buying the plan or on its anniversary. For example, you can add coverage against accidental death, disability, critical illnesses, and hospitalization. Another basic of the life insurance terminologies is sum assured. The amount against which you have taken life insurance is known as the sum assured. For example, imagine that you have taken a Max Bupa Life Insurance of Rs.20 lakh since that is the loss that your family will experience after your death. This amount is known as the sum assured. The financial support or amount that a nominee receives after the insured party dies is known as a death benefit. However, the advantage is only obtained when the life assured dies during the policy tenure. In case, the life assured does not die during the policy tenure; then the person is eligible for maturity benefit. In other words, the amount that you receive after the expiration of the life insurance policy is known as the maturity benefit. Like every other item that you purchase, an insurance policy also comes with a return period. The free lock period is the timeline till when you can return your life insurance policy, in case, you are not on board with all the terms and conditions. In case, you miss out on your premium payment; there is a certain number of days given to you to deposit the amount. This time instance is known as the grace period. Exclusion is a term in life insurance policies which is used for stating all the features that are not covered in the plan. With the help of these basic terminologies, you will be able to negotiate better, while you are buying life insurance. They will also allow you to understand the clauses of terms and conditions for different policies. Myself Sidharth Kapoor is a well-known financial insurance advisor. He has worked on different financial sectors dealing with the entire range of Insurance like health Insurance, life insurance, personal accident insurance and also contribute as a writer at everythingoninsurance blog more. He is also an expert in writing many finance related articles and blogs.